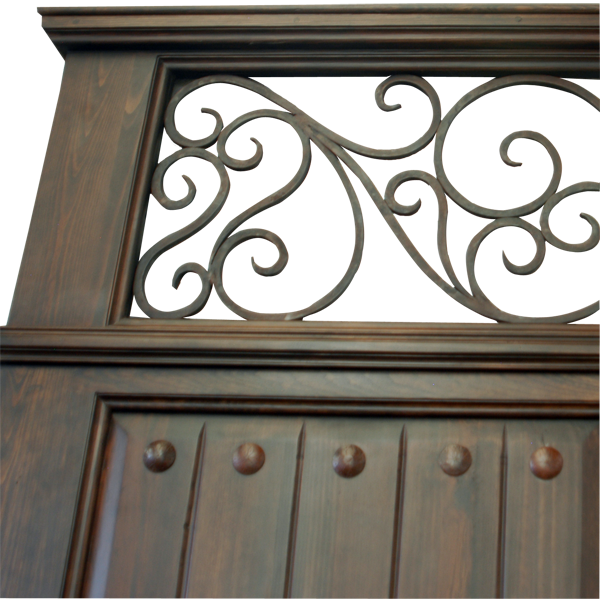 All of our decorative ironwork is created in our factory, and we have a variety of beautiful designs to choose from. 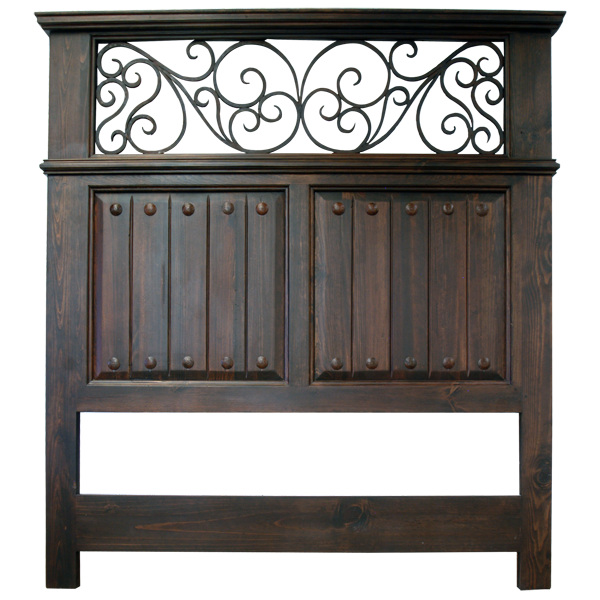 This luxurious, handcrafted, Spanish colonial style headboard has a solid wood frame with a staggered, top molding. Below the top molding is a large, horizontal, rectangular, open area, and the open area is embellished with ornamental, hand forged ironwork. Below the ironwork is an additional, staggered, wood molding. The lower front of the headboard is adorned with two, square cut panels, and each panel is enhanced with a beveled, vertical wood design. The top and bottom of each individual, vertical timber is accented with a hand forged, iron concho. The headboard has an opulent, dark finish, and it rest on square cut legs. It is made with the best, sustainable, solid wood available, and it is 100% customizable.